"You can't stop evolution," Emory disease ecologist Gonzalo Vazquez-Prokopec says, explaining that it is a natural process for mosquitos to mutate in response to insecticides. CDC photo by James Gathany. 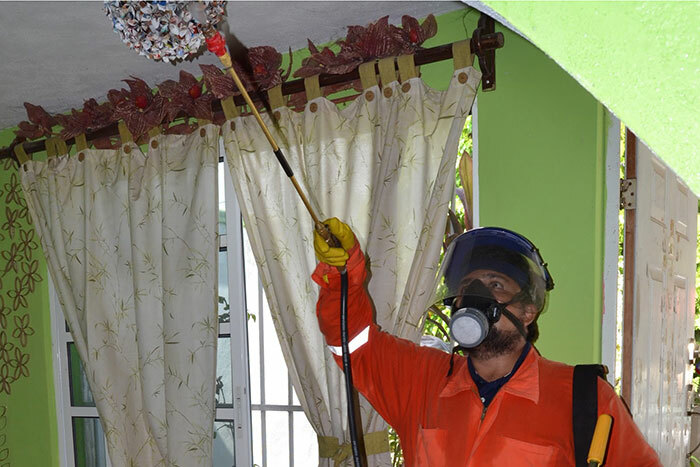 A research technician sprays the ceiling and walls of a home in Merida, Mexico, as part of the first study to show how vital insecticide-resistance monitoring is to control a mosquito that can spread the Zika virus. Photo by Nsa Dada. 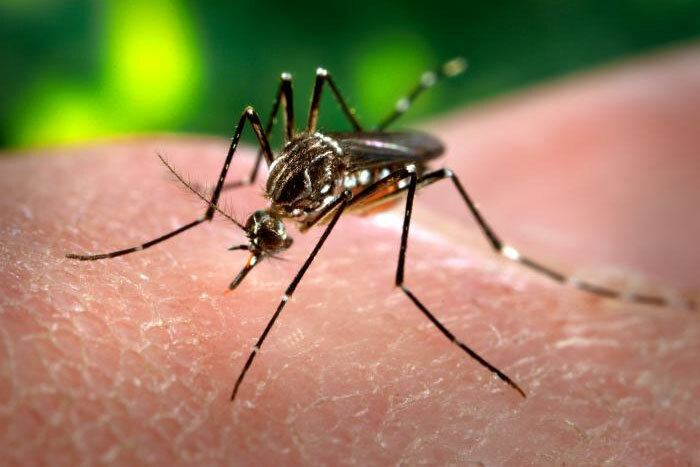 The bediocarb-treated areas showed a 60-percent kill rate for Aedes aegyptimosquitos during a three-month period, while the deltamethrin-treated areas and the control areas showed no detectable impact on the mosquitos.